The final two Moveable G ame Jams, part of a series of four events hosted by Games for Change (G4C), took place on December 10th at the Brooklyn Community College Partnership and January 14th at the Jefferson Market Library in Manhattan. (The first two Game Jams were held at the Andrew Freedman Home and at the Museum of the Moving Image in October and November 2016.) Each Game Jam focused one of the social impact themes of the 2016-17 G4C Student Challenge, a game design competition for middle and high school students. These three themes are: Climate Change, Local Voices & Immigrant Stories, and Future Communities. At the December game jam, the theme was Climate Change, and it featured climate scientists from NASA and American Museum of Natural History, and two climate educators from NOAA. Students conducted research on various climate change issues under NOAA’s guidance, and presented findings to the rest of the group. Session partners engaged students with a variety of game design tools. The Museum of the Moving Image used Scratch, the free game design tool, which addressed empathy for the plight of polar bears. Global Kids blended digital and hands-on with the Makey Makey kit; the results were student-made games about lowering carbon footprints. Students at the Mouse station built onto a branched story started on Twine, and CoderDojoNYC used CSS and HTML code to mod a snake game. The January game jam focused on the theme of Local Stories & Immigrant Voices, supported by the National Endowment for the Humanities and a consortium of NYC historical organizations. The first speaker, a historian from the New York Historical Society, passed around centuries-old artifacts for students to identify and analyze, including button hooks and a deck of playing cards adorned with a stamp from King George III—the very stamp from the Stamp Act that the American colonists once protested! The second speaker, a Brooklyn Historical Society historian and educator, shared a recording from a woman of mixed heritage descent who shared stories from her youth. These activities and discussions framed the day around the theme. 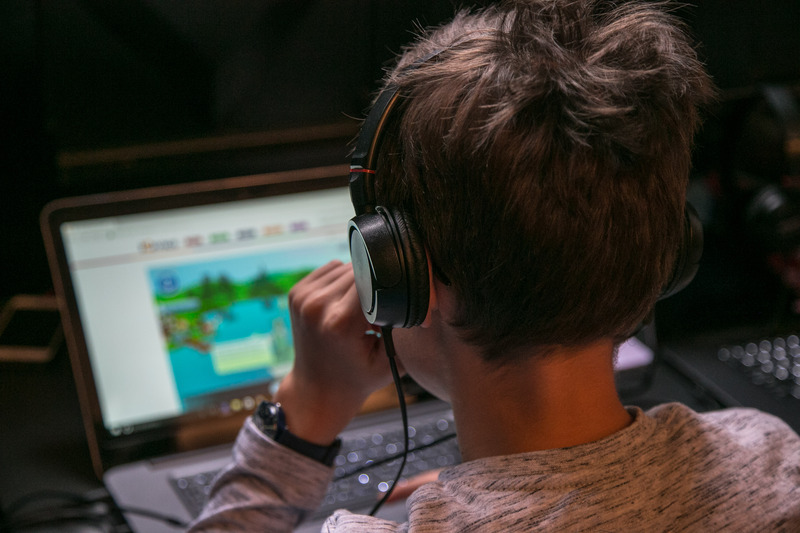 Global Kids used Scratch to address the experiences of Syrian refugees. CoderDojoNYC’s activity involved coding a map that would help an immigrant navigate around a new environment. The Institute of Play had students mod an analog card game to tell a story about the immigrant experience. And finally, parents were brought into the experience! While their kids and students worked on their games, parents, guardians, and teachers were convened separately to play BreakoutEDU, an educational escape room in a box developed by BrainPOP. This adult game team made an immigration-themed breakout game for the students to play at the end of the day. This not only got grown-ups involved in game design, it served as a boss level challenge, culminating the kids’ day! All of the activities from the four Moveable Game Jams will be shared in a forthcoming free curriculum guide. Look for it later this spring! Finally, don’t forget to submit games by April 7th to the G4C Student Challenge! Any middle or high school student in a NYC, Pittsburgh or Dallas public school is eligible to participate and win prizes. Games must be playable on a web browser, and about one of the three Challenge themes. 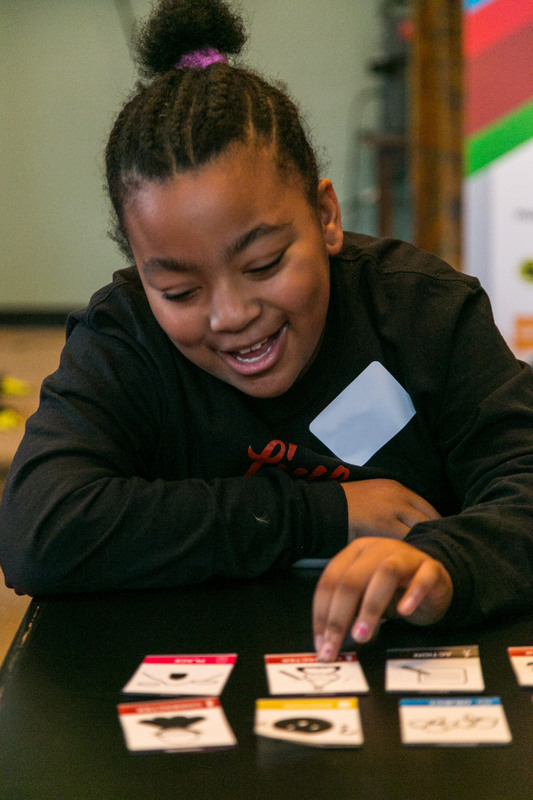 Students who game jammed are encouraged to apply what you learned from the scientists and historians, as well as NYC digital learning organizations, to your game projects! For more info, contact studentchallenge@gamesforchange.org or visit gamesforchange.org/studentchallenge.